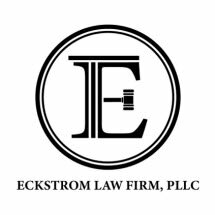 I am attorney Melissa Eckstrom. I earned my J.D. from Seattle University School of Law in 2014 and passed the Washington State Bar exam the same year. Since then, I have devoted my practice to helping people facing a wide range of legal issues. I take on all types of family law cases, including divorce, custody, parenting plan modifications, domestic violence, and post-divorce modification. In my criminal practice, I focus on misdemeanors and gross misdemeanors, including hit and run's, driving while license is suspended in the second or third degrees, drug charges, and DUI's. I also represent people who wish to fight traffic infractions. In all of my areas of practice, there is one constant. I am fully invested in helping my clients in achieving their goals and moving forward with their lives. Through skill and determination, I have been able to achieve positive outcomes for my clients time and again. My law firm, Eckstrom Law Firm, PLLC, was selected to be a part of Seattle University School of Law's Low Bono Incubator Program, which helps new lawyers establish their practices. This program, along with the relationships I have established with other lawyers in the area, has provided invaluable support to my law firm. I want to make hiring my law firm as easy as possible for my clients. I am available 24 hours a day, seven days a week. I also accept credit cards, and in some situations I am willing to accept payment plans. I offer a free 20 minute consultation to discuss your situation.